It’s been a while since I’ve done anything especially stupid. 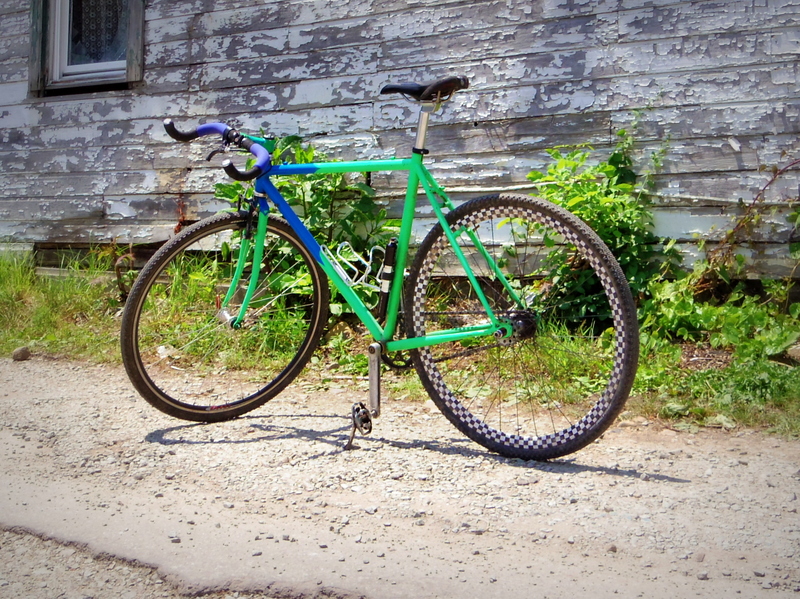 So I’m going to race the Hilly Billy Roubaix on a fixed gear, and ride to the start. I thought about doing the race fixed three years ago, but talked myself out of it. Instead I raced my mountain bike, which sucked. The roads in the race are bombed-out, rocky, and terrifying to ride on skinny tires. But on mountain bike they’re just bumpy. I ended up having a really boring and slow day, and skipped the race for the next two years. The fixed gear should make it a pretty exciting day. I’m leaving Ohiopyle this afternoon, riding down to the start and camping tonight. 40×17 gear, flopped and chopped bars, 35c cross tires, and a BMX lever that almost pulls enough cable to work the front brake. I’m sure it’ll be a bad time, but the worst plans always make the best stories.